First of all, finding the venue for our wedding was so important. It will set the tone for the entire event and Vineland Estates Winery definitely gave us that whimsical and magical feeling. It's ... Read more straight out of a fairy tale with lush green vineyards that stretch as far as your eyes can see, beautiful sunset over the horizon, and trees and grasses that sway with the wind blowing. Very serene, calm, and away from the hustle and bustle of the city. When we first met with Diane (Director of Hospitality) at Vineland Estates Winery, we were immediately drawn to her peaceful aura. She was smiling a lot and very calm. Most of all she was genuine. On our drive to Vineland, we fell in love right away as soon as our car drove past the long stretch road leading to the carriage house. 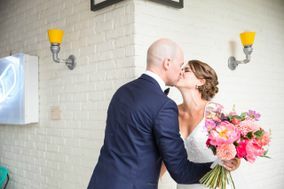 As soon as we stepped into the carriage house and the patio right beside it, we knew that this will be the magical place where we say "I do". Right away we booked this venue back in Fall 2017, less than a year before our big day. 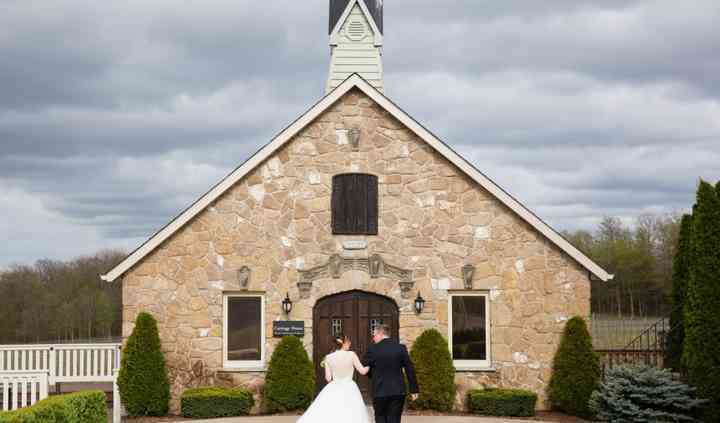 We must say that Vineland Estates Winery is a PERFECT venue for a small intimate and romantic wedding. Diane made sure that she got all the small details they needed for our wedding. She was very accommodating and ensured that my husband and I were happy with everything. She even accommodated us to set up the day before to ensure that we had enough time for set up. The FOOD was AMAZING!!! We were fortunate to try the food at their restaurant and their wines at the shop prior to our wedding date, and we must say the FOOD was amazingly delicious. It definitely matched the beautiful scenery of the venue. Our guests loved the food and they have nothing but positive feedbacks..."so delicious", "so tasty", and "so beautifully presented". The beef, chicken and salmon were all amazing. The salad was just divine and so fresh, and the dessert - Lindt Chocolate Lava Cake - WoW!!! The SERVICE was excellent throughout the entire day. No wineglass was left empty and everyone was so kind and so hospitable. Our favourite part was when one of the waitress followed us during our photo session after the wedding to make sure that we get to eat and at least try the hors d'oeuvres. The pork belly and the fresh oysters were such a a big hit! 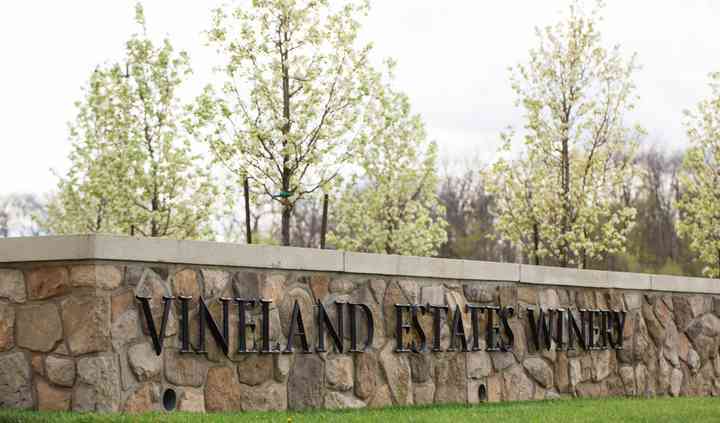 Vineland Estates Winery was reasonably priced for our wedding and the memories we had there will be cherished in the years to come. Diane, our wedding was perfect, thanks to your amazing staff and your beautiful venue and delicious food. We will definitely be back again. Love Mike & Kim. PS Thanks for meeting with us before we walked down the aisle and see each other for the first time. It brought back memories when we first met almost a year ago. You're so genuine and we felt your warm regards and happiness for us. Also, our beloved dog, Miko, also says "Hi!" My husband and I live in Shanghai but decided to get married in Canada where my husband is originally from. After a quick search online for venues in the Niagara on the Lakes region, I stumbled across ... Read more Vineland. It was perfect for our budget, guest list, and desire to be married in a natural setting. We worked with Diane who was very responsive and helpful, answering all our questions via email. She patiently answered all my questions and elaborated when I needed my detail. We didn't get to see the venue until the afternoon before the wedding, but when we did, we couldn't have been happier with our choice of venue. It is perfect. The carriage house is cozy, but even at full capacity, we didn't feel packed in. The deck is a good size for both the ceremony and cocktail hour and the view is splendid. The food, especially the appetizers, was delicious and the staff was very friendly and helpful. The only thing that didn't work out perfectly was how the music played out. We had our own playlist and just connected our laptop to the sound system, but it was very muffled sounding. 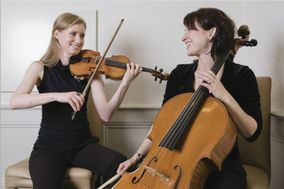 We were in a hurry and doing a lot of the set up ourselves, so I would suggest working with the technician to make sure the sound is good both indoors and out before the wedding. We also stayed on the property and had both the guest house and b&b. I would highly recommend staying on site. 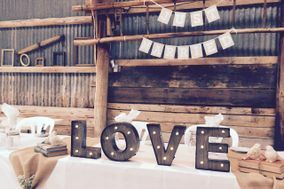 Both accommodations are really well appointed, there's plenty of room to stage and get set up before the wedding, and they provide lots of food and wine to further help you enjoy your stay. 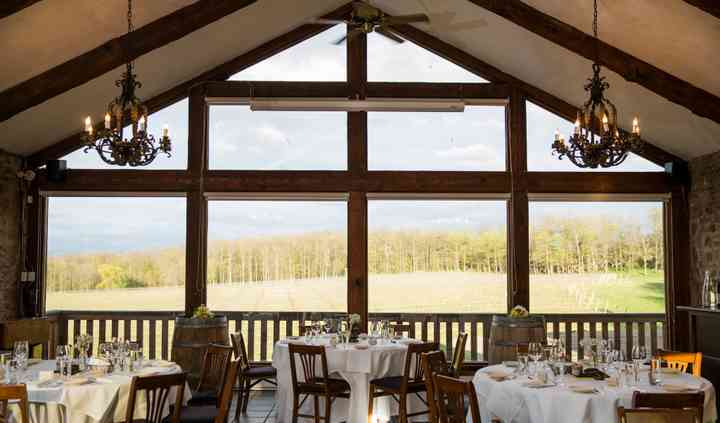 All in all, it was an absolutely perfect venue for us and we'd recommend it to anyone looking to have an intimate wedding. Let me just start out by saying that my wife and I had the perfect wedding day. We first found Vineland by a recommendation and decided to check it out. We made the drive from Toronto and within ... Read more seconds of seeing the coach house we knew that this is where we wanted to get married. We met with Andrea who was filling in for Diane while she was on personal leave. We got the sense that we would be well taken care of and that it was their goal as a team and venue to provide the best service possible. We then booked the space for the afternoon of October 7th 2017 We came back a few months later and met Diane. We were amazed at how organized and thoughtful she was. She took lots of notes and asked us lots of questions to make sure that what we wanted was taken into account. We had a fairly small wedding, 30 people, but we wanted them to have a great time and a great meal. If we ever had any questions, Diane responded through email or telephone immediately and was always there for us. About a month before the wedding we emailed Diane a chart of the seating arrangement and food choices. We chatted about the final setup and it put our minds at ease knowing that she cared so much. On the wedding day, Diane and Andrea were there for anything that we needed. They run a well oiled machine and it shows. Everything went flawlessly, from the ceremony to reception. They met the bride outside and cued the music so that the doors opened and I saw my bride for the first time, it was amazing. Between the ceremony and reception they changed it over for the lunch within 10-15 minutes and came to check on us in the vines when we were with the photographers. When we got back to the reception, it was amazing, everything was where we wanted and it all went so smoothly. After the reception they helped us gather everything that we needed and helped us clean up and pack our decorations ect. I just want to comment on the food as when we were booking this we couldn't find any reviews of the food or meal. Let me say, the food was absolutely delicious. Everyone comments on how good it was. We had the chicken, smoked pork chop and beef. Every one of them was great. The pork chop and beef was so tender! The salad to start was really nice with nuts, cheese ect. The dessert was a warm chocolate cake. For our cake we paid $4 each person for a cake cutting fee. It might sound like a lot for that, but they cut the cake perfectly and decorated each plate with berries and garnishes. We also stayed at the cottage B&B near the entrance of Vineland. 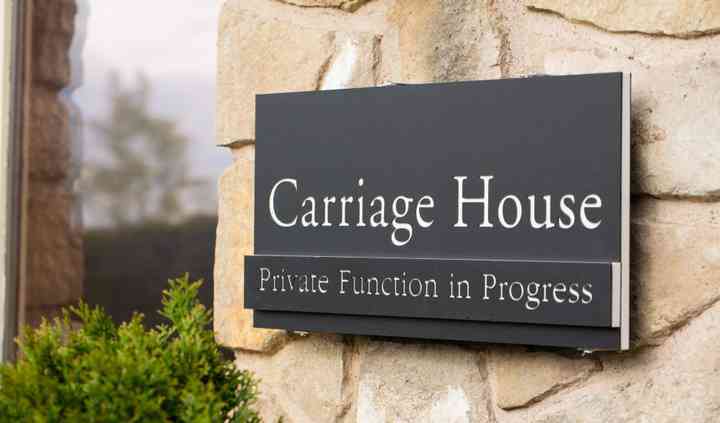 I would recommend this as it was very close and it gave us a place to change and get ready for the day. It is a nice cozy house and they provided all the fixing to make a wonderful breakfast. On our wedding night we also ate at the restaurant and had the $85 chefs menu. We had no idea what we were going to get but every course was better then the last. We will 100% be going back for our anniversary meals! I can't say enough good things about the wedding or our overall experience. This was the biggest day of our lives and the team at vineland helped so much to make our dreams come true. Diane is amazing at what she does and I can't recommend it more. 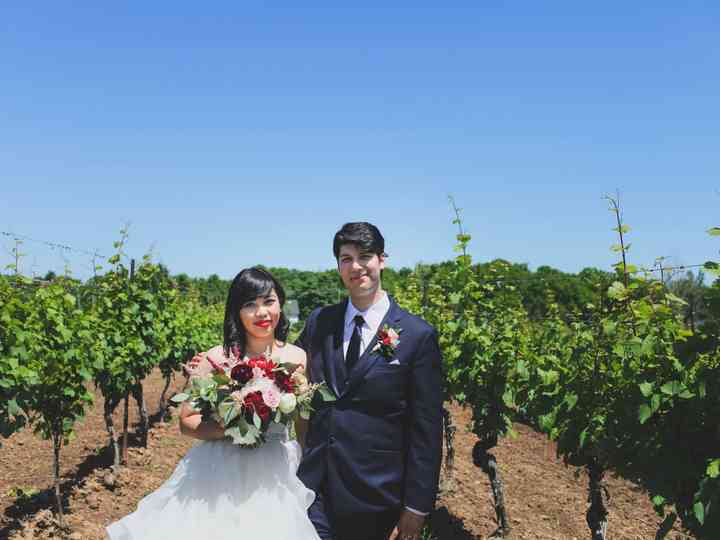 Vineland Estates Winery was the perfect venue for us. We had been there before for wine tasting and were impressed by how beautiful the winery was. 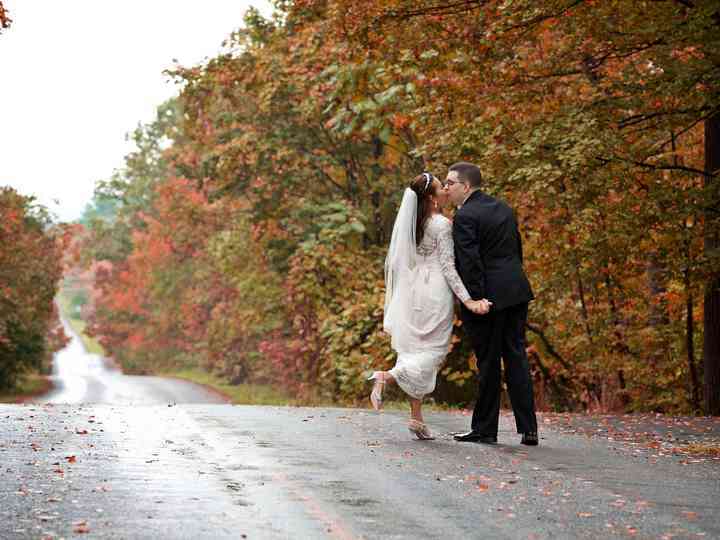 Although we looked at other venues I think I knew I ... Read more wanted to get married at Vineland. We wanted a small wedding and the space was big enough for our 45 guests. Diane was quick to respond to all my questions, and her staff went above and beyond on the day to make sure everything went perfectly. Small things like bringing me a glass of sparkling wine while I was hidden away before the ceremony or putting out boxes so our guests could take home a cupcake really stood out for us. The food was excellent, and we received many positive comments from our guests. Portion sizes were surprisingly large for a wedding and they allowed us to substitute a dessert that wasn't on their list. My husband and I really enjoyed our day and we will definitely be back to visit the restaurant and wine shop.